(TibetanReview.net, Feb03, 2018) – Two people said to be members of the banned terrorist outfit Jamatul Mujahidin Bangladesh have been taken into custody by the Special Task Force unit of the Kolkata Police on Jan 31 for involvement in planting three bombs last month near the Mahabodhi Temple, Buddhism’s holiest site, located in Gaya district of Bihar. A low intensity bomb had exploded on Jan 19 while two high-yield bombs were discovered in a search carried out after it. The site of the explosion was also near the Kalachakra Maidan, where Tibet’s exiled spiritual leader, the Dalai Lama, was giving a series of religious teachings and the incident occurred after he had already concluded his event for that day. 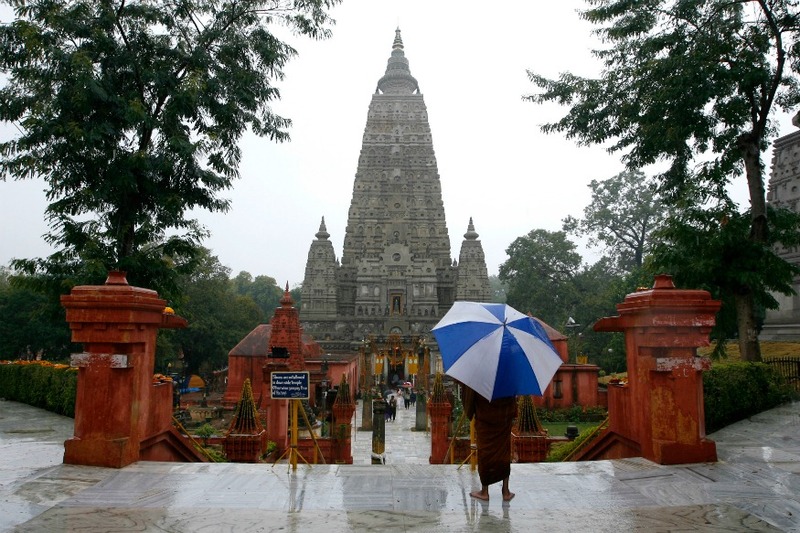 The suspects had earlier been identified from CCTV footage captured at Bodh Gaya. “We arrested Paigamber Sheikh (24) and Jamirul Sheikh (31) yesterday. Apart from 50 kilograms of explosive Ammonium Nitrate, one laptop and other materials used to make explosives have been recovered. In primary interrogation, the two accused revealed their links with the group that had planted IED at Bodh Gaya during Dalai Lama’s visit”, indianexpress.com Feb 1 quoted Murlidhar Sharma, Deputy Commissioner of Police (STF), as saying. The two were reported to be residents of Murshidabad in the state of West Bengal. While Jamirul was nabbed from Phansideva in Darjeeling district, Paigamber was held from Kankuria Gram in Murshidabad district itself. Police forces belonging to Murshidabad, Siliguri and Darjeeling districts were reported to have helped to carry out the operation.